Do you want a cool and comfortable home all summer without having to pay for repairs or maintenance? Full coverage on parts and labour warranty. Priority emergency service if required – even on the hottest day of the summer. Regular maintenance and tune ups – no extra charge! When rented with a furnace, we’ll also close down your AC for winter and place a cover over the outdoor unit. At the end of 10 years, the air conditioner is all yours with no more to pay! We’ll go through all your options and help you select the right air conditioner for your needs. This way you’ll have an air conditioner that operates efficiently and saves you money on your monthly bills. 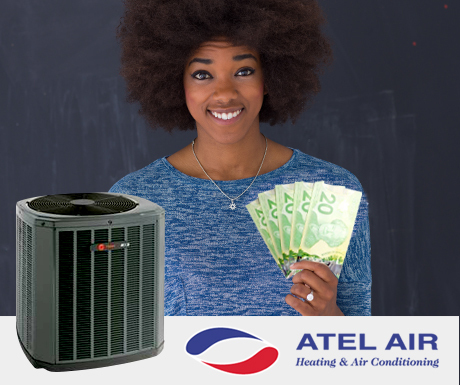 ATEL Air’s financing is a great way to get a high-efficiency air conditioner without having to pay everything right up front. It’s easy, effective, and convenient! Need help picking the best financing option for your needs – or need help picking the best air conditioner? Our team can walk you through all your options and help pick the AC and financing model that works best for you and your home. Hurry – this offer ends April 30th, 2019. 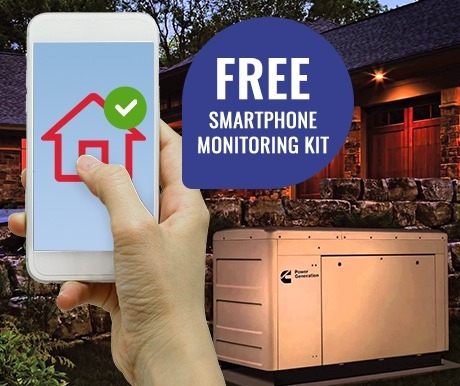 For a limited time only, get a FREE smartphone monitoring kit with the purchase of any home generator from ATEL Air. We carry a wide range of generators from Cummins to meet your power supply needs. From smaller power outputs for the bare essentials to enough power for an entire building or business we can provide what you need. Best of all there’s no need to carry gas cans as these generators are connected to clean and efficient natural gas or propane. Never fight with cranky ignition systems – our generators come on automatically when needed, and shut down automatically when the grid is back up. We can provide financing with low monthly payments starting at $90.00 a month so you can buy the system you need, and never have to risk damage from flooded basements, spoiled food, or stuffy overheated nights in the dark. Ask about the options from your friendly ATEL Air representative. Get a Precision Tune Up for only $59.99 When You Sign Up for Our VIP Program! Sign up for worry-free coverage of your furnace, water heater, boiler, air conditioner, heat pump, heat recovery ventilator or fireplace. With our VIP program, you always move to the front of the line when you call on us! Try us out for just a small fee! 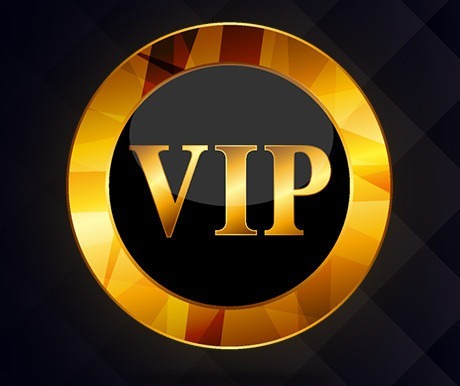 You can learn more about our VIP Program here. Limited Time Only! This offer expires April 30, 2019. Does your home use natural gas as its main heating source? 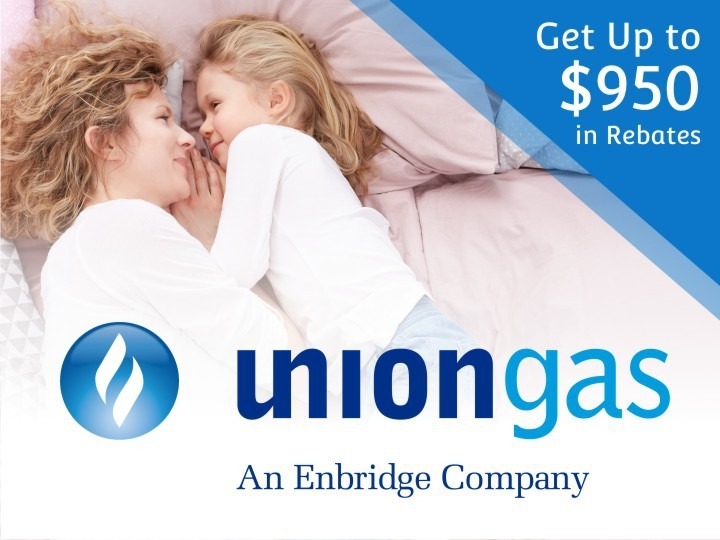 You could qualify for the Union Gas Home Reno Rebate Program! You can qualify for as much as $2,500 in rebates when you make two qualifying upgrades to things like your insulation, windows, and home heating system. If you’re ready to upgrade and save at the same time, get in touch with us today! Sorry, but any homes heated with oil, propane, wood, or electricity cannot participate in the HRR program. Homeowners converting to natural gas cannot participate in the HRR program. Homes must be lived in/owned and located in the Union Gas franchise area. Homes can be detached, semi-detached, town houses, or mobile homes. Must complete at least two of the eligible renovations. Must complete a pre-renovation and post-renovation energy assessment. Missed the Green Ontario rebates? Have no fear! Enbridge Gas has expanded their rebate program with more savings than ever before. Get more back today so you can improve your home for the future. Air Source Heat Pump: $500. Homes with electrical heating only are eligible for up to $5,800 on air source heat pumps. Heating system: Up to $1,000. PLUS you can take advantage of additional incentives the more you upgrade. We can walk you through the full list of rebates available to you. Complete a pre-upgrade energy audit using a Registered Energy Advisor (REA). Complete at least 2 upgrades using a qualified Enbridge contractor (like us). 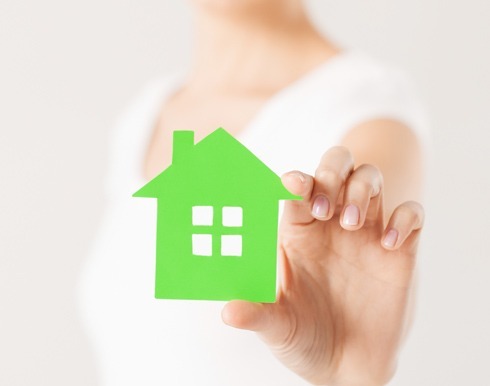 Complete a post-upgrade energy audit using the same REA. The cost of both audits totals $600+HST. Once both audits have been successfully completed, you’ll be reimbursed the $600 through you incentive cheque. The post-upgrade audit must take place within 120 days of your pre-upgrade audit. Your REA will submit your application, and you’ll receive your incentive cheque in 8-12 weeks. It’s really that simple to save big! ATEL Air has a number of qualifying products, and a top-notch team to help you choose the right system for your home and your needs. All you have to do is ask. 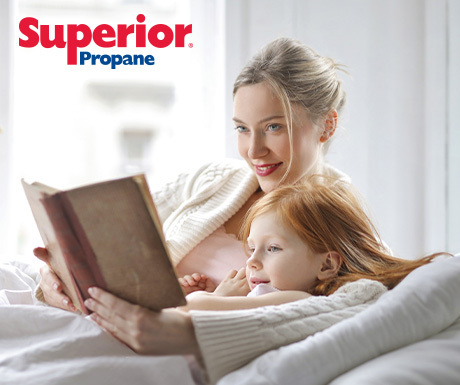 Have you been thinking about switching to propane heat? Right now, Superior Propane has some great specials! $750 credit applied to your Superior Propane account. 500 FREE litres on your first fill. Energy costs are rising at record rates. Your older heating and cooling system is the most expensive equipment in your home. We at ATEL Air want to help you avoid system breakdowns and costly repairs by making it easier for you to save money and to meet your family’s heating and cooling needs. Your investment in a new heating and cooling system can save you thousands of dollars on your utility bills and help alleviate the cost and worries of your older unit breaking down. 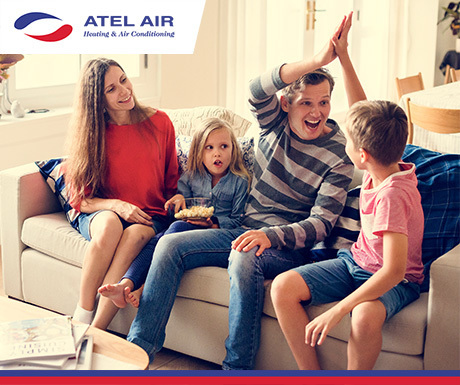 When you purchase a new unit from ATEL Air you can have that peace of mind. Call us today for further details and to receive your free in-home estimate. You can reach us at (613) 535-2720. The most comfortable homes have ATEL Air in them.